It takes a full-time Home Inspector hundreds and hundreds of inspections to develop the eyes, ears, and nose for hunting down problems. Part-time inspectors simply do not have the proper time in the field to develop that radar. Be sure to ask how many inspections he/she performs annually and for how many years. A quality Home Inspector does at least 300 to 400 inspections annually. Blind inspectors conduct 50 to 100 inspections annually. Conducting 300 to 400 inspections each year requires extensive referrals by prior clients, lenders, real estate agents and others-so there is a much greater chance the inspector is not blind. American Home Services conducts 700 – 900 inspections annually and has completed over 9,000 inspections. American Home Services has been providing professional inspections for over 15 years in the Central Florida area. The company that offers the cheapest price is generally showing you a couple of things; 1) they are new or part-time and 2) they really do not know their costs (they will not be in business very long). If you want a thorough Home Inspection of, what most likely will be, the largest purchase of your life, you will want an experienced Home Inspection Company on your side. Hiring a Home Inspection Company that has been performing home inspections for years and understands that they are working for you and no one else is critical. Making sure that you, the buyer, understands the condition of your new property is our first priority. Home inspectors that charge less, know less, do less and therefore inspect less. They typically do not carry the technology and tools that are necessary to complete a thorough inspection. Additionally, they usually do not carry the proper industry related insurances. American Home Services offers competitive prices and discounted 3, 4 & 5 STAR packages. American Home Services offers 90 Day Warranties for the Home and Termite Inspections. American Home Services is licensed and insured. American Home Services inspectors use the most current technology and tools when completing each inspection. American Home Services always provide a verbal review of our findings with you and make sure that you understand all aspects of the property. The final report, which includes digital photos, is completed on-site and emailed to you as a PDF file the same day. American Home Services inspectors have attended one of the two top home inspection schools in the country, completing more than 120 hours of coursework and classroom training. American Home Services inspectors spend a minimum of 70 inspections training under the owner of the company, ensuring consistency and completeness of the inspection process and reporting. Our quality control process is stringent as the Owner of the company reviews every inspection report and EVERY photo. 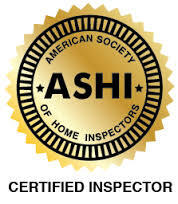 American Home Services inspectors are all members of ASHI and/or InterNACHI and complete over 20 hours of continuing education annually. While certifications are certainly important, it’s the combination of Experience, Education, and Training that make the difference in the competency of your next home inspector. American Home Services believes there is simply no substitute for experience and proper training. American Home Services inspectors are all State Licensed and Certified. Owner and Founder, Thomas Kleinschnitz, does not allow the inspector to perform inspection, on their own, until he is beyond satisfied with the inspector’s level of training, knowledge, and experience. American Home Services uses the most current technology such as Laser Thermometer, Moisture Meter, Outlet Testers, Infrared Thermographic Scanning and Termite Detection System (TDS) which detects carbon dioxide produced by live Termites. American Home Services knows using the latest technology will uncover “hidden” signs of damage and potential problems such as missing insulation, water intrusion, electrical “hot spots” that might otherwise go undetected in an “ordinary” inspection. The top home inspectors in today’s business do not produce handwritten reports. A professional inspector will provide a well-written report which includes digital photos that clearly show defects in the home and not one that you can’t read because he writes like your doctor. Inspectors should NEVER make repairs or offer to make repairs at a later date. An inspector that makes repairs should always be avoided due to the conflict of interest inherent in that situation. All National Home Inspection Associations forbid this lack of integrity and objectivity. American Home Services reports are written in plain English, not some “Techno-Jargon”- that only the home inspector can understand. American Home Services reports include a summary sheet for quick reference. 7. How Long Has The Inspection Company Been In Business? Is the inspection company locally owned and operated or are they some far away faceless corporation where no one is monitoring and evaluating the quality of their work? If you are dealing with a multi-inspector firm, how long has the Inspection Company been in business? Does the Inspection Company have dedicated employees serving as customer service representatives? Will you be able to speak with your inspector for follow-up questions and assistance after your Home Inspection? American Home Services is locally owned and operated. Thomas Kleinschnitz founded the company in 2002 and has brought on staff, over the years, to meet the demands of the growing company. American Home Services’ staff are knowledgeable, dedicated, friendly, and responsive. They understand the demands of “The Real Estate Contract” and the time sensitivity involved. American Home Services inspectors return every call the SAME DAY! Even if it is in the evening. 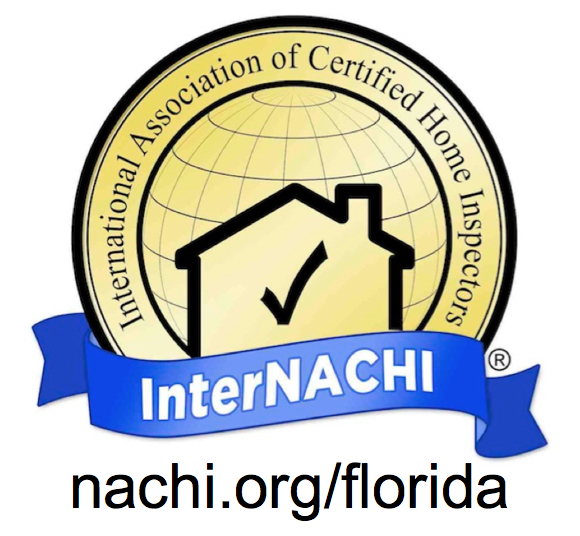 Quality Professional Home Inspectors ask their clients to complete comment cards upon completion of the inspection or online after the inspection. Professional Inspectors want to know what they are doing right, as well as what might need improvement because you can’t improve what you don’t measure. If the inspector can’t or won’t provide client referrals, he might be blind in more ways than one!